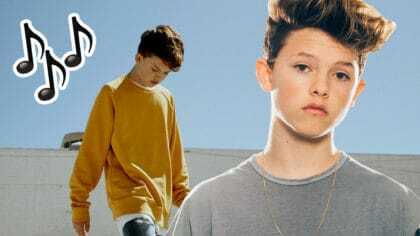 Listen to Skateboard by Jacob Sartorius! This week, he’s chosen Skateboard by Jacob Sartorius! Jacob is 15 and is from Oklahoma in America. The song comes from his new EP, Left Me Hangin’, which is his first major release. He’s super-famous on Musical.ly with over 14 million followers! As well as singing, Jacob also plays guitar. Hear Skateboard from 7pm every night this week!